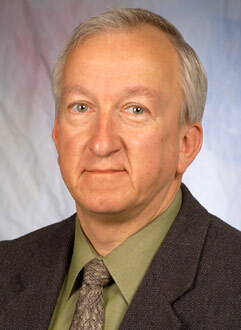 Dr. Robert F. Karlicek, Jr. is the Director of the Center for Lighting Enabled Systems & Applications (LESA) at Rensselaer Polytechnic Institute, an NSF and industry funded program exploring advanced applications for next generation solid state lighting systems. Prior to joining RPI, he spent over 30 years in industrial research and R&D management positions with corporations including AT&T Bell Labs, EMCORE, General Electric, Gore Photonics, Microsemi, Luminus Devices and SolidUV. His technical experience includes epitaxial growth of high performance LEDs and lasers, advanced device fabrication and high power LED packaging, thermal management, control systems design and applications research in solid state lighting as well as other novel LED uses such as IR and UV LED applications, wireless communications using lighting (LiFi) and advanced LED display applications. Dr. Karlicek is well known globally as an LED industry expert, and is a frequent presenter at conferences and workshops. He obtained his Ph.D. in Physical Chemistry from the University of Pittsburgh and has over 56 peer reviewed technical papers and 44 U.S. patents. He is the founder and president of SolidUV, Inc., and sits on the technical advisory boards of several high tech startup companies.